Hail causes the most uncertainty in late May through June due to plant growth stage and the final crop insurance planting date. During this time, many farmers find themselves asking the replant question. 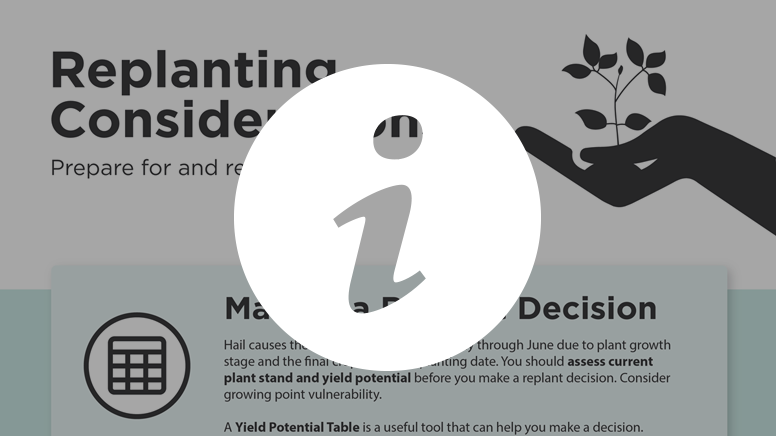 This infographic highlights what factors to consider when making the decision to replant or not. The decision to replant after hail can be difficult and is often unclear, especially when hail occurs in late May through June. Will the current crop recover and provide a reasonable yield? Will replanting offer a better yield? 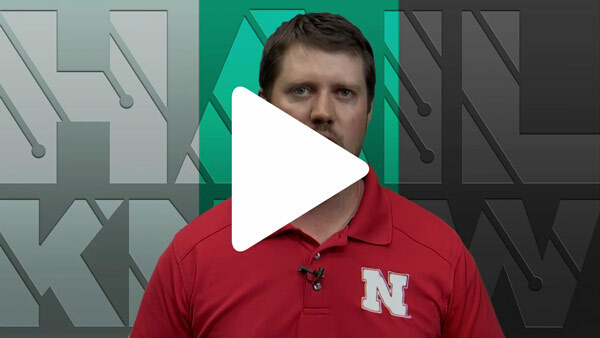 This video explores how to assess stand injury and yield potential as well as other factors to consider.